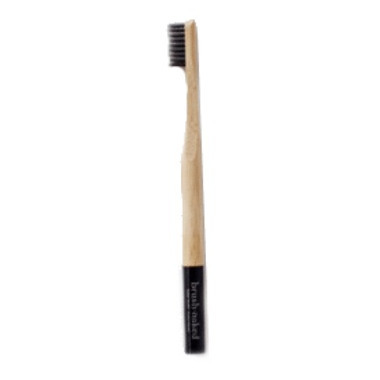 All Brush Naked toothbrush handles are made of 100% bamboo with activated charcoal bristles. The bristles are super soft and gentle. Still a great alternative to plastic brushes!